So Much For The Gloomy Forecasts – Google Defies The Odds And Increases Profits. Posted on 20th July 2011 at 11:18. In spite of the gloomy predictions from the likes of Share Analysts, Trefis, that Google’s second quarter profits would be hit substantially by escalating operating cots and increased competition from Bing and Yahoo!, the search engine giant surprised the markets last week by releasing surprisingly profitable figures which CEO, Larry Page, could only describe as beautiful. In his address he described a company increasingly focused on designing attractive products and improving user experience. Search has driven and continues to be a core driver of revenue for the company, but Page emphasised that the company’s long-term fortunes lie in products with high consumer usage such as YouTube, Android, and Chrome. Revenues for the quarter ended June 30, 2011 totalled $9.03 billion – up 32% from the previous year and up 5% from the first quarter of 2011.Net income grew by 36% to $2.51 billion from the second quarter of 2010, although the operating margins declined slightly with continued growth in workforce numbers and in capital expenditure increases. The total workforce now stands at 28,768 full-time employees: up 2,452 from the first quarter. From an operational point of view Google appears to be firing on all cylinders. In the last couple years, traffic acquisition costs, expressed as a percentage of revenue, has consistently declined: it’s down from 26.9% in the first quarter of 2009 to 24.2% this quarter. Even without direct access to the large Chinese market, like its competitor Microsoft with its Baidu tie-in, Google is slowly making gains overseas, now deriving 54% of revenue from international markets compared to 52% in the first quarter 2009. Free cash flow was a strong $2.6 billion. To give some perspective, Google ended this second quarter with $39.1 billion in cash. Not bad, in the circumstances. Google is known for spending lavishly on research, and this looks set to continue. The company spoke of newly designed search functions and quality improvements in search results as well as the algorithm itself. Google is pursuing the display ad market, developing new formats and more relevant real-time bidding for ad space. It is anticipated this new model will be much more efficient, and will provide better performance for both advertisers and publishers. Well, he doesn’t appear to be an answer for that at the moment. As has always been the case with Google, it takes the long-term view. Funded by ongoing revenues from Search, it looks likely that the goal will be to continue building the user base, and then see what type of businesses eventually come out of it. That may seem unscientific, but in fact that’s how Google’s search business was built. If people use it, the money will come. The only problem is that Search will have to continue to perform well, and Microsoft might have something to say about that. Google has invested heavily in new products like Google+, Commerce, Local, and Offers. Commerce helps online merchants with product searches, while Local obviously focuses on the fast-growing demand for local-search results. Offers has gained some attention as a coupon site with its eyes set on the likes of Groupon and Living Social, but hasn’t yet taken off as well as expected. Google+, however, can’t be kept out of the news. Page gave some early statistics on this newly launched Facebook rival. While it’s still in its infancy, Google+ has already amassed over 10 million users: 1 billion items are shared and received in a single day. 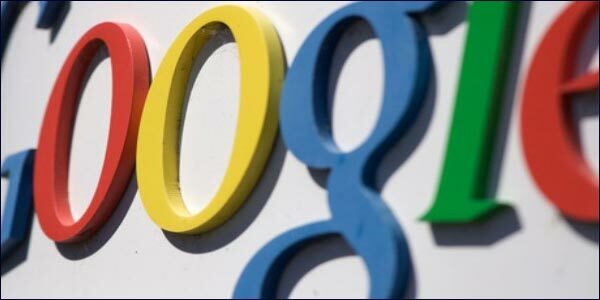 Google launched its own “+1” button allowing users to recommend particular websites: it’s already acting as a rival to the Facebook like button, and is gaining a certain amount of traction. The importance of Google+ is that it offers the company the opportunity to increased product integration, by acting as a social layer on top of all its other properties. Combined with its +1 buttons, data culled from social interactions may well make its way into search results. So important is Google+ that 25% of this year’s employee bonuses are tied to the company’s social networking initiatives. Investors rightly celebrated this past quarter’s results. All the talk of Google’s demise turned out to be a bit premature. As Page said, he’s here “to lead the company in the next level.” Only three months into his return as CEO of the company, and Page has already shaken things up; in a management shuffle, he promoted the heads of product groups YouTube and Android along with other executives to increase the speed of decision making. Google Research Releases A Report Which Throws Light On Its Efforts To Improve The Search Results.Marketing Or Interaction? How Does Your Business Use Social Media?